So the “Beast from the East” is back! And no, despite the jokes doing the rounds these days, I am not talking about Russian President Vladimir Putin, but the snowstorm which has turned London white again. It’s been a cold weekend once more, with snow scattered on the trees like little fluffs of cotton, but also an indication of the revival of the Cold War. It is strange, isn’t it, how Russia is at the centre of controversies both in the US and the UK? Perhaps the weather too reflects this with all the talk about “Russian spies” and Russian oligarchs out of favour with the Russian regime who are now living in the UK. This follows two weeks of investigation in Salisbury where a former Russian double agent along with his daughter were nearly bumped off, and were found in a critical condition in a park. Novichok, the deadly chemical used in the murderous attack, was apparently created in Russia, and thus the suspicion points squarely (or so say the experts) to that country. The Russians deny this staunchly and have asked for evidence. This could be a John le Carré novel, or a James Bond film, except that this is real life and we have learnt a lot about modern-day, dangerous chemical warfare. The murder of yet another Russian exile, whom the Russian government wanted extradited, has made others nervous. It is like Russian roulette — literally — as we have also learnt a lot about how many rich Russians have invested in the UK, particularly in London property. 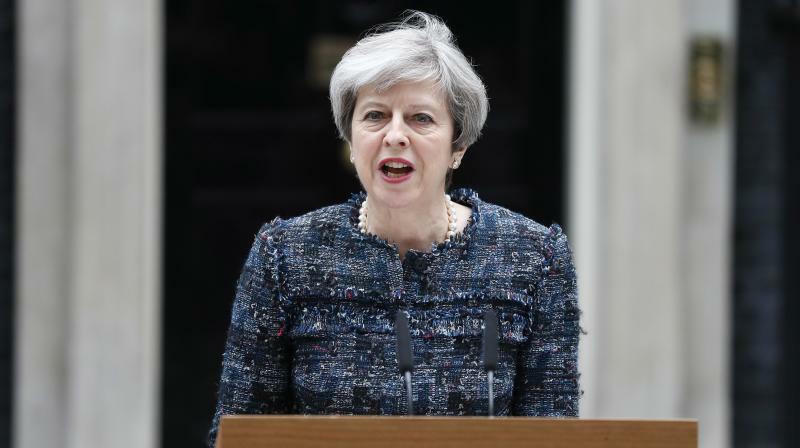 Prime Minister Theresa May’s popularity has gone up as she has managed to get this “assault on UK sovereignty” condemned by valuable allies such as Donald Trump, Emmanuel Macron and Angela Merkel. But what can the UK really do? It has had the “assault” discussed and condemned at the UN and has expelled 23 diplomats — and in return Russia has expelled 23 and has closed down the British Council. The UK is examining ways of hitting out at those oligarchs who are close to Mr Putin by putting a squeeze on their UK investments. But now there are worries of a cyberattack on the UK, in retaliation. The most dangerous threat given by the UK so far is that its team may not attend the football World Cup in Russia. The government and the royals have said they are not going… It all looks quite dangerous, but if we were not so used to very similar India-Pakistan rhetoric, I would get worried. Meanwhile, a lovely event was organised at the House of Lords, for International Women’s Day. The idea was to have a proper “parliamentary” debate on the topic of “Press for progress”, but at the spectacular Moses Room, where most of the speakers were women of Indian origin. There were 18 of us covering a huge range of subjects — sharing our goals and experiences and hope for the future as well. Organised by Lord and Lady Popat — it gave a wonderful platform for all of us not just to exchange ideas — but to hear about and appreciate those who came from a variety of different professions — many of whom have political ambitions. Some of us also spoke of how the world needs to create a positive environment where more and more women can join the workforce. And here I also pointed out how Indian Prime Minister Narendra Modi is putting women at the centre of his agenda — through some simple but important steps such as the construction of toilets in India. The debate was energetic and progressive — and while today there are just a handful of women of Indian origin in the UK Parliament — I could see that very soon we have many more representatives! Does the UK really have a “throwaway” culture? Well, it seems that last year Britons threw away £12.5 billion worth of clothes into the rubbish bin. The study by Wrap, the government’s waste advisory body in the UK, said that on an average each person threw away eight items of clothing — and each household chucked out £500 worth of clothes every year. And this is despite the fact that out here there are charity shops on just about every street asking for donated clothes. But it seems that people have just become lazy about donations, which is really a sad state of affairs for the environment as well — as more than 300,000 tonnes of clothes are being deposited each year in the landfills. And then lets look at the amount of food that is wasted. Another survey showed that a shocking 25 million slices of bread is thrown out every day — more than a million per hour. Wrap has said that 69 per cent of people in the age group of 18 to 34 admitted to throwing away bread every week. In India, of course, we always have informal ways of sharing food and clothes within and outside the household — and rarely is anything wasted. But here we need to learn about purchasing only that what we want to use. I think every big store in the UK should have one aisle at least where we place material which can be recycled. If not bread, then other things which may have a longer shelf life, and clothes as well. A “sharing” culture must come back instead of a “throwaway” one.